Abu Sayyaf has lowered its expectations of a three-billion peso demand to 900 million pesos this weekend. The 900-million peso ransom is in exchange for the three foreigners who were kidnapped from Oceanview Marina on the Island Garden City of Samal in Davao del Norte on September 24. Kidnapped were Canadians John Ridsdel and Robert Hall and Norwegian Kjartan Sekkingstad. Sources also believe that Filipina hostage Marites Flor’s freedom rests on whether the ransom for the three foreigners comes through. 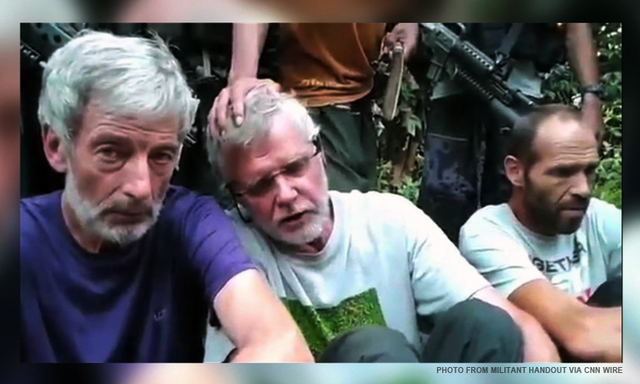 Sources also noted that Filipina hostage, Marites Flor’s freedom hinges on whether the ransom for the three foreigners comes through. Unfortunately, Miss Marites has no $$$$ value. What to do to stop her head being cut off and delivered to the resort owners? 900 million php is approximately 26 million Canadian dollars. These Filipino cowards better lower their expectations even more, unless they plan on murdering the hostages regardless.